At a time when Western economies are faced with one of the most serious crises in its history, the luxury industry is reflected in the requirement to enter new markets. 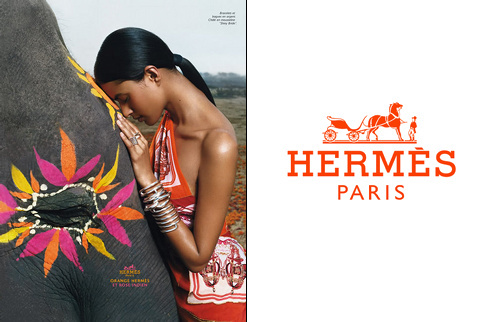 Hermes, which has just launched a collection of saris for the Indian market, has understood the situation perfectly. The year 2011 may well have started auspiciously for the giants of luxury (LVMH and others showing the rapid growth rate record), they will ultimately not been spared by the recent stock market woes: Since August, the Hermes shares have in fact lost 12%, those of the Richemont group nearly 20% and 40% of Prada. In other words, the gloom pushes them to look further into emerging markets, whose economy has never been successful (Asia in 2010 has become the largest market in the House of Dior, far ahead of USA). In practice, if LVMH did not skimp on the luxury boutique openings hither and if Chanel does not hesitate to relocate some of its parades, Hermes has meanwhile chosen to operate so a bit more subtle. 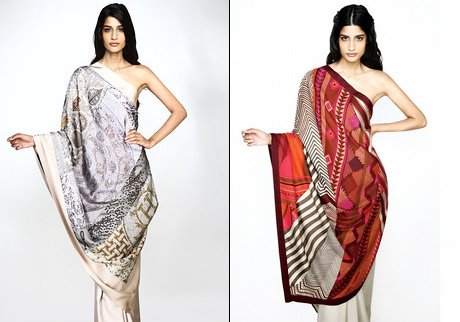 This season, the family business has decided to launch the Indian Territory a limited edition of saris honoring the traditions of the country. They have in fact assisted the artist Sunita Kumar, one of saris - entirely of Hermès scarves - was able to convince Jean-Louis Dumas. Of this collaboration are then born two types of saris (one in 4570 euros, the other in 6100 euros), the rich Indian - who continue to wear this piece traditional special occasions - are likely to tear. Like the 2008 launch of the Chinese Shang Xia, this could also well lead to the creation of a new entity combining luxury Hermès know-how and local crafts, and so allow the stronghold of the family Dumas to invest in the Indian market softness.